You added too much water when you first made your worm bin. Oops! 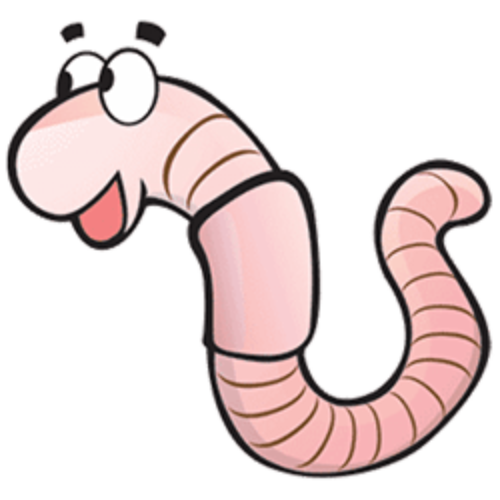 Either way, if your worm compost is too wet, if it has too much moisture in it, there is easy to fix. Add a couple handfuls of fresh dry bedding. Shredded paper works really well for this (love using my paid, shredded bills!) but any type of worm bin bedding will work. Mix the dry bedding in and it will soak up the excess moisture. This will work for any type of worm bin and should be the first thing you try. If you find this to be a recurring issue, try leaving the lid off your worm bin for a couple days. The added air flow will help dry out your overly wet worm bin. Worm composting bins should never be dry and should never have standing water in them. Ideally, the worm bedding should be at about 80% moisture. The bedding should definitely feel moist but when you squeeze it, no water should drip out. Also, when you squeeze it you should not hear crackling of dry paper or dry leaves. When your worm bin bedding is at the correct moisture level it should remind you of laundry right when you take it from the washing machine. The clothes are thoroughly saturated with water but not dripping at all. 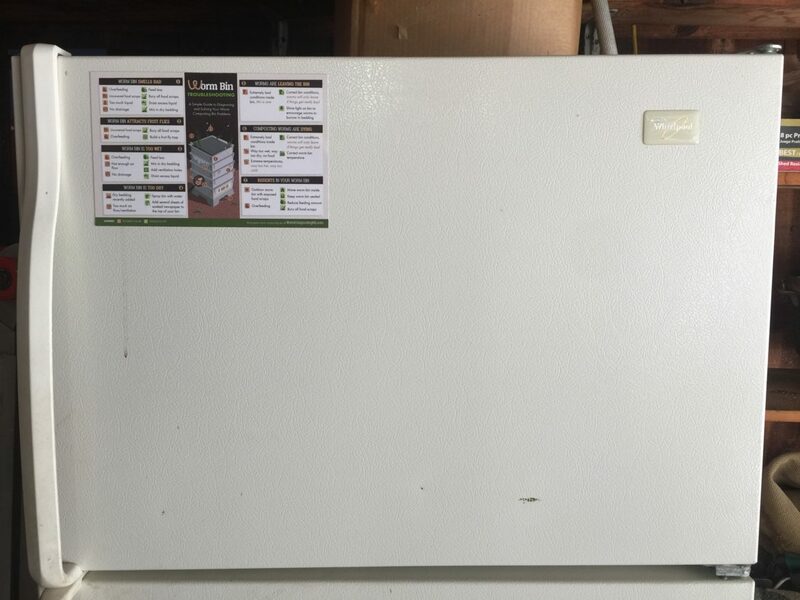 Learn more about the correct moisture level of a worm bin here. 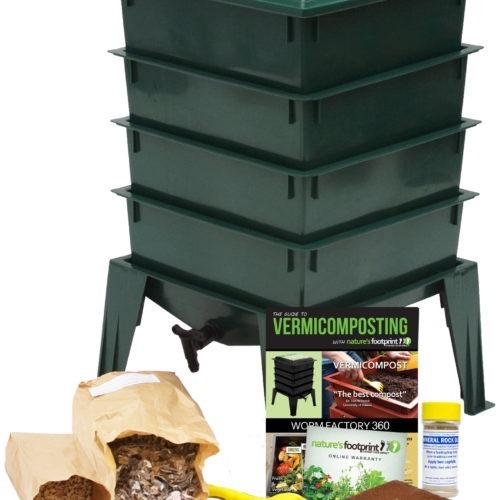 Need a convenient way to keep track of these and other worm composting tips? 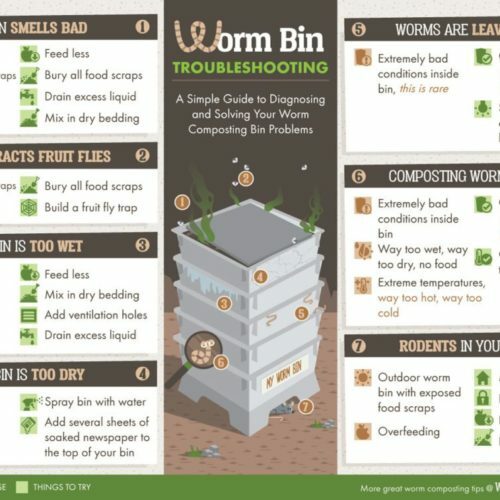 Check out the worm composting troubleshooting infographic here.